How do I Calculate the Amount of Acid to Reduce Water pH? The pH scale runs from 0 to 14, with 0 representing acidic solutions like battery acid and 14 representing alkaline solutions like liquid drain cleaner. Baking soda rests around 8.4 on the pH scale, slightly above the neutral mark of 7. The effect of baking soda will be influenced by the current pH of your water--you will not be able to raise the pH above 8.4, but you can raise the pH to a more neutral level if it is below 8.4. Measure the pH of your existing water. Insert the strip into the water and let it rest for 10 to 30 seconds. The amount of time you need to hold the strip in the water will depend on the brand of the strip; follow the manufacturer’s instructions if in doubt. Use the chart that came with your pH strips to compare color and determine the pH. Add baking soda to your pool. If the pH is under 7.2, you will need to add 3 lbs. of baking soda per 10,000 gallons in the pool. If the pH is between 7.5 and 7.2, add 2 lbs. per 10,000 gallons. If the pH is above 7.5 then don’t add any. Raise the pH of your hot tub if the pH falls below 7.2. Add 1/3 cup per 500 gallons per decimal point you need to raise the pH. For example, if you have a hot tub that holds 1,000 gallons of water and has a pH of 7.0, you would need 1-1/3 c. baking soda. Make your drinking water slightly alkaline. Add 1/4 tsp. of baking soda to 1 gallon of water. 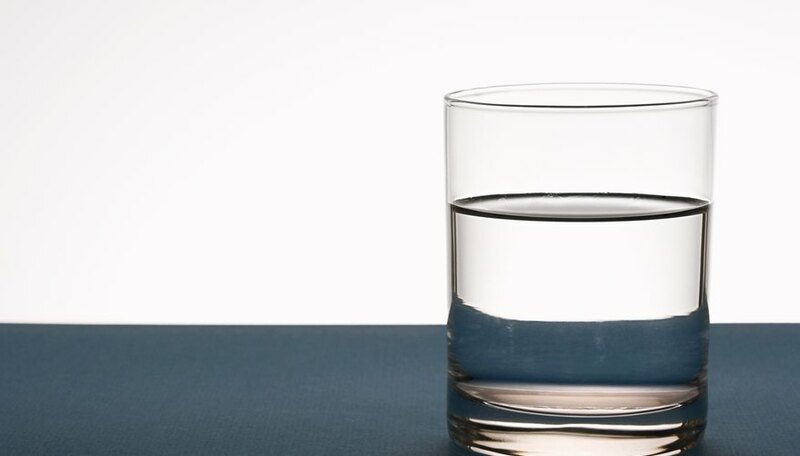 Drinking slightly alkaline water is purported to help dieters lose weight. Finch, Heather. "How to Raise pH by Using Baking Soda in Water." Sciencing, https://sciencing.com/how-to-raise-ph-by-using-baking-soda-in-water-12258080.html. 25 October 2017.